Preparing for the holidays can be incredibly stressful; there is so much to do, but so little time to get it all done!  Use these holiday preparation tips from our Peachtree Place Blog to make preparing for the holidays easier and less stressful. Make lists of what you need to get done and prioritize what needs to get done first. Don’t get overwhelmed by your list, instead take one task at a time. You will probably have several different lists like a grocery list, shopping list, list of addresses for holiday cards, a gift list, and more, so find a way to keep track of them all and keep them organized in a way that works best for you. Get your holiday shopping out of the way early to avoid stress and having to deal with huge crowds. Finding gifts for everyone can be a pain, but by giving yourself more time to shop you can make sure you get everyone on your list a personalized gift that they will love. Online shopping is another great option, especially if you would rather not leave your warm and cozy apartment. The holidays are a crazy time with all kinds of events, parties, and gatherings going on. Don’t try to do too much, instead choose to attend only the most important events. By not over-scheduling you will also be able to better manage your holiday to-do lists and avoid holiday burnout. With all the commotion of the holidays, don’t forget to capture the memories by taking plenty of photographs. Long after the holidays are past, you will be able to look back at the pictures and reminisce. You won’t regret taking too many pictures, but you might regret not taking enough! What other holiday preparation tips would you add to this list? How do you prepare your apartment for the holidays? Share your ideas with us in the comments. Thanks for reading and have a fantastic holiday season in Columbia, SC or wherever you may be spending the holidays.